Its fair to say that Liverpool haven't been playing well lately. 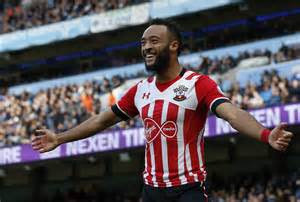 Tonight's defeat 1-0 at Southampton has borne that out as a Nathan Redmond goal was enough to condemn Jurgen Klopp's side to defeat in The EFL Cup first-leg at St. Mary's. Liverpool's style and tactics have perceptively changed lately, from the all-attacking, pressing, free-flowing football in the first half of the Season, we have suddenly become a defensive, predictable pedestrian team which back-passes far too often and results are suffering. Jurgen Klopp's side have become too cautious and outright negative in their games since then, yes we are still second in the Premier League, but how long will we stay there? With Man Utd to come on Sunday and Chelsea to play this month also, this new approach may well be exposed. Different Manager, different players, yet nowadays we are playing the same type of insipid, negative football that gets you nowhere as a team and nowhere as a club. The loss to Southampton wasn't terminal but unless the performances and style of football changes, it will be.